We have visited this west Texas winery in the Now And Zin Wine Country series before. Recapping for those who don't like clicking into the past, Texas played a big role in helping the Europeans recover from the 19th-century phylloxera epidemic. Horticulturist Thomas Munson used rootstock from wild Texas Mustang grapevines to give French grape growers a way to rebound. The French government honored him for his effort. Too bad the French couldn't have helped us out on that Prohibition thing, which killed off the wine biz in Texas and most other states. Llano Estacado Winery, in Lubbock, Texas, is one of the first modern day Texas wineries to pop up some forty years after Prohibition was repealed. It’s located in the Texas High Plains AVA, one of eight American Viticultural Areas under the Lone Star. In the eighties, President Reagan served Llano Estacado wine at the White House. In the nineties, they served their wine to Queen Elizabeth when she visited Texas. In 2005, Llano Estacado was served at President Bush's Inaugural Ball. They must be doing something right. Created from select small batches of wine, the 2011 Llano Estacado Cellar Reserve Tempranillo shows alcohol at just 12.5% abv and represents the Texas High Plains AVA very well. The blend features Tempranillo grapes from Newsom Vineyard in Plains, TX and Reddy Vineyard in Brownfield. There is some Merlot in there, too, also from Newsom. It retails for $20. I was provided a sample for review. The wine is very dark - nearly see-through - and the bouquet is as fragrant as can be. Blackberries and blueberries hold their own amid a nose full of tobacco, nutmeg and white pepper. As I have found with Texas Tempranillo before, it smells like Rioja to me. The palate is spicy, too, and has a farmers market full of dark fruit playing into a minty note that borders on eucalyptus. Some very bright acidity rounds out a sip that can be described as very enjoyable. The tannins are extremely smooth, but pairing with beef is perfectly alright. It's good with goat cheese, too. I don't think Llano Estacado markets the wine like this, but I think it would be great during the holiday season. I always like a wine with a strong profile of spices for the holidays. Of course, you don't have to wait. Last week I attended a trade wine tasting event in Los Angeles, put on by Kobrand Wine and Spirits importers. This event showcased their Italian wines, which are of high quality and readily available at many restaurants and wine stores. Los Angeles was the final whistle stop on the importer’s nine-city US tour. The event was a big disappointment for me, not because the wines were disappointing - the ones I had the chance to taste were tremendous. The disappointment came from the situation that seems to be prevalent at wine trade events in L.A. The event felt like a college kegger with suits. So many people seemed to be concerned with eating, partying and schmoozing - hey, it is L.A. - that the limited space at the tasting tables was taken up with folks who were there, as I heard more than once, to "drink wine," not "taste wine." The crowd appeared to me to be largely made up of wine buyers and sommeliers - dressed to impress at 2:30 p.m. - with a few members of the press thrown in. Throughout my radio career, it was always the media who showed up anyplace a free meal was handed out. At wine trade events in L.A., the food service takes second billing to loud conversations in which wheels are greased for someone’s next position or some “catching up” is done to find out whatcha been up to since the last tasting event. Plenty are there as plus-ones, excited for the opportunity to get drunk for free on a Thursday afternoon. Tasting and evaluating wine drops to fourth in the priority list. The Los Angeles wine scene is not one that gets much mention in the wine press, unless it is negative. With the serious restaurant atmosphere here - not to mention the money and expensive tastes that are ubiquitous in Tinseltown - one would expect a more serious attitude at wine at events like this one. Instead, we get a restaurant crowded with people who are clearly more interested in "being there" than in tasting what was brought there for that purpose. Tables are clogged with those who choose to take that moment to hold court for their entourage and with those who stand at the tasting area to have personal conversations. This is something I have noticed at many L.A. wine trade events, not just this one. I know some will say I’m being ridiculous, that the event is for business and this is how business is conducted. I get that conversations will happen - just move away from the table to chat. And leave the plus-ones at the office unless they are there for a purpose other than chugging Brunello. I quickly became disenchanted with trying to muscle in for a taste and bailed on the event. I hope for better results next time, but I do not expect them. I did have the opportunity to sample a few big winners, which is what I came there to do in the first place. Roberto Pighin’s family winery has the major estate in Friuli and a smaller one in the Collio DOC zone. His Pinot Grigio Friuli 2012 shows beautiful fruit - apples, pears - and a very nice level of freshness. The Pinot Grigio from Collio plays a little more minerality and rests a little softer on the palate. Pighin’s Sauvignon Blanc Friuli 2011 comes through with a savory note of minerals on the citrusy fruit. The Feudo Maccari Grillo Sicilia 2011 brought the savory feel of the ocean, while the Maccari Nero d’Avola 2010 presents the native Sicilian grape in pristine no-oak fashion. Fragrant flowers on the nose, soft cherry on the palate. From central Tuscany, the Tenuta Sette Ponti Crognolo is mainly Sangiovese with a smattering of Merlot and Cabernet Sauvignon. Dusty cherry, great acidity, savory edge. Masi Agricola, of the Veneto, poured a delightful white - Masianco 2012. Pinot Grigio and Verduzzo are blended, with the latter partly dried and seeing a little oak. The wine has great weight and is quite complex, leaning to the savory side a bit. The Masi Campofiorin 2009 is a mix of Corvina, Rondinella and Molinara grapes. Complex cherry and spice notes. My pourer described it as “easy, but not a stupid wine.” To say the least! I didn’t get close enough for a taste of Sassicaia, but I did try a couple from the family’s second label, Salviano. The Umbrian estate yields an Orvieto Classico that is steely and crisp and and blend of Chardonnay and Sauvignon Blanc which is almost honey-sweet with flinty minerals. It finishes quite like a dessert wine. Randall Grahm is known more for his Rhône varietal wines - he is, ya know, the original Rhône Ranger - but he does a great job with any grape he chooses to crush. He shows his minimal-intervention winemaking skills here with The Wine Formerly Known as Clos de Gilroy - TWFKaCdG. It's still actually still known as Clos de Gilroy, since the lettering on the label for the other part is in small, scripted font and rather hard to read. Clos de Gilroy offers a tip of the winemaker hat to the town of Gilroy, CA, known more for its smells than its sights. Gilroy is the scene of the annual garlic festival, owing to its prodigious garlic crop. They also grow a lot of mushrooms there, but you wouldn't know it from the smell. It is not, however, the source of the grapes - hence the TWFKaCdG tag. Clos de Greenfield simply didn’t have the requisite ring to it. On the label, Clos de Gilroy is denoted with the inscription, "Le Gil des Rois, Le Roi des Gils." My high school French tells me that means "the Gil of kings, the king of Gils," but I cannot stand behind that translation. I was a C-student in foreign languages. The wine is made from 84% Grenache grapes - from the biodynamically-farmed Alta Loma Vineyard in the Arroyo Seco AVA in Monterey County - along with 11.5% Santa Maria Valley Syrah and 4.5% old-vine Mourvèdre grapes from the Sacramento Delta. Grahm says the 2012 Grenache crop was surprising for its quality and quantity. He intended these grapes for his Le Cigare Volant wine, but they ended up here instead. This fresh red sees no wood at all, 1,444 cases were produced, and it sells at retail for $18. Alcohol ticks the abv meter at 14.4% and the wine comes bottled under a screw cap. Grahm's label notes say that the "Grenache's exceptionally lovely strawberry-rhubarbarity is complemented by delicate notes of raspberry, kirsch, red currant and white pepper." He recommends pairing with anything garlicky. The Gil - pardon my familiarity - is a fresh tasting wine with lovely red fruit oozing from its little red molecules. The bouquet comes on a little tart - must be the "rhubarbarity" - but carries strawberry, cherry and a nice herbal note with it. Great acidity and a cherry flavor on the palate set the table for a wonderful and long finish. The Clos de Gilroy takes a chill well, if you need it to. In fact, after some time open and a little cooling, it takes on a grapey atmosphere and reminds me quite a bit of a Beaujolais or even a Lambrusco. If there's still a balmy evening remaining where you are, keep that in mind. The San Francisco International Wine Competition brought its double gold winners to Los Angeles in mid-September 2013, to Marina del Rey’s Paiche Restaurant. The tables were set to take tasters from the lighter wines through to the big, heavy hitters, and I will list them that way here. Look for my favorites from each section in bold type. If you have ever perused a list of award winners from this major wine competition, you may have thought you were looking at the complete inventory for a wine store - a large wine store. Hundreds of wineries walk away from San Francisco clutching medals in their grape-stained fingers. It is interesting, however, to get a look at some of the wines that scored the double gold. This group of judges must have really liked a smoky edge to their Chardonnay, because all four shown here exhibited that sensation to some degree. They seem to have had something against a Riesling with great acidity and fully fruit-forward reds seem to be their thing. Take a look at the 2013 Double Gold Winners from San Francisco. Zonin Prosecco, Veneto, Italy $15 - This Best Prosecco winner is mineral-driven and fresh, but somewhat overshadowed by three Champagnes that followed. Collet NV Extra Brut, Champagne, France $55 - Bread on the nose and earthy apples on the palate. Piper Heidsieck NV Brut, Champagne, France $50 - A funky nose and toasty palate made this one the best of the bunch. Collet NV Rosé, Champagne, France $60 - Toast and herbal aromas, earth and apple flavors. A close second. Castra Rubra Winery 2012 Organic White Blend, Dominant White, Bulgaria $14 - Winner of the Best White Blend award, this Eastern European entry smells of flowers and peaches with mineral-laden apples on the palate. Very nice, in what turned out to be a weak category. At the price, unbeatable. Handley Cellars 2012 Riesling, Anderson Valley $22 - Aromas of rich, full fruit unfortunately lead to a flabby mouthfeel. Kono 2012 Sauvignon Blanc, Marlborough, New Zealand $11 - Pungent grassiness on the nose and a lime streak a mile wide. Matua 2012 Sauvignon Blanc, Marlborough, New Zealand $14 - This one took the Best Sauvignon Blanc award with a grassy nose and mineral-draped citrus flavors. Archangel 2011 Riesling, Central Otego, New Zealand $22 - Lots of petrol and great acidity. The best of this bunch. Turning Leaf NV Riesling, California $8 - Big, sweet pears and peaches, but no acidity to back it up. Santa Carolina 2010 Chardonnay, Reserva de Familia, Casablanca Valley, Chile $20 - This standout smells like a campfire and tastes like butter and cream. Very nice acidity. The best of the four Chardonnays on the table. Puma Road 2011 Chardonnay, Pedregal Vineyard, Paicines, San Benito County, California $20 - Another wonderfully smoky nose with nice acidity and minerals. Three Coins 2011 Chardonnay, Knight's Valley, California $26 - Smoky fruit bouquet, but disappointed by a listless palate. Nice show of minerals, though. D & L Carinalli Vineyards 2011 Estate Chardonnay, Russian River Valley, California $20 - Named the Best Chardonnay, this one shows less smoke with nice acidity and slightly buttery fruit. Hyde Vineyard 2010 Pinot Noir, Napa Valley $32 - A whiff of roses and raspberries leads to a pleasant, fruity palate and nice acidity in this Carneros product. Thirty- Seven 2010 Malbec, Sonoma Coast $46 - This very dark wine smells of pepper on black cherries and plums. The palate is plummy, jammy and spicy. I love this one. Villa Yambol 2011 Merlot, Thracian Valley, Bulgaria $8 - Dark with loads of smoky minerals, it deservedly won the Best Merlot award. Eight bucks! This one and the earlier white blend have me thinking of Bulgaria as wine country. Domaine Peshtera 2011 Cabernet Sauvignon, Thracian Valley, Bulgaria $8 - A nose of rich, jammy blackberry, a palate of huge blackberry and plum, great acidity - Why wasn't I more impressed with it? It lacks complexity, but at the price, it's a decent buy. Don & Sons B-Side 2011 Cabernet Sauvignon, Napa Valley $25 - Fruit-forward black cherry and blackberry, but again, less complex than I would like. Hess 2010 Allomi Cabernet Sauvignon, Napa Valley $30 - Smoke runs through the blackberry and raspberry flavors, with nice tannins and acidity. Best of the Cabs showed here. J Lohr Vineyards 2010 Hilltop Cabernet Sauvignon, Paso Robles $35 - Ripe cherry, great acidity and structure. A very close second. Robert John Vineyards 2010 Cabernet Sauvignon, Napa Valley $75 - Intriguing mint and herbs on the nose, the fruit is dark and the acidity is vibrant. Rocca Family Vineyards 2009 Cabernet Sauvignon, Grigsby Vineyard, Yountville, Napa Valley $80 - Fruity with good tannic structure and nice acidity. It won the prize for Best Cabernet Sauvignon. Antucura 2008 Calcura Red Bordeaux Blend, Uco Valley, Mendoza, Argentina $20 - This wine won for Best Bordeaux Blend Under $25. That's not faint praise, either, as it shows a great tart edge and acidity. Think of Uco Valley as Medoza's Sonoma Coast. J Lohr Vineyards 2009 Premium Bordeaux Blend, Cuvée POM, Paso Robles $50 - This mineral-drenched wine took the award for Best Red In Show. Great choice. Stone Dwellers 2009 Shiraz, Strathbogie Ranges, Australia $20 - Minerals all over, this Shiraz has a smoky, chalky sense on the palate. A fave. Anaba 2010 Red Rhône Blend, Turbine Red, Sonoma County $24 - Extremely smooth, but a little dull. 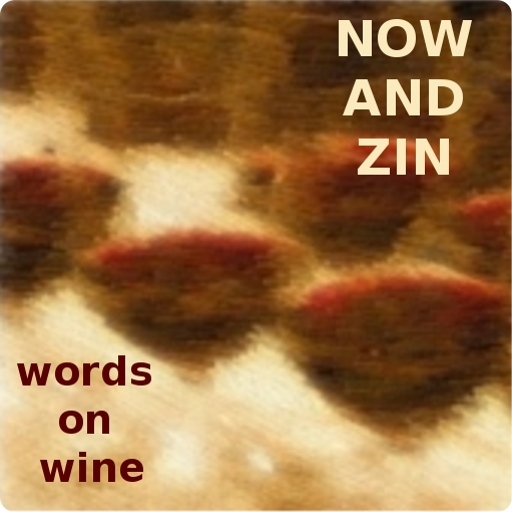 Brazin 2010 Old Vine Zinfandel, Lodi, California $17 - Beautiful cherry fruit and great tannins. McManis Family Vineyards 2011 Petite Sirah, California $11 - An unfortunately medicinal alcohol whiff, even after it had been open for hours. Spicy, dark fruit flavors help it along. The group in charge of marketing New York’s Finger Lakes wine region - the Finger Lakes Wine Alliance - held another virtual tasting of their wines in mid-September 2013. The event - not that they need an excuse, they’ll talk about wine at the drop of a corkscrew - was the launch of the 2012 vintage of Finger Lakes Rieslings. 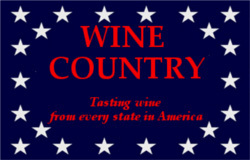 Wine writers got samples, winemakers got online and everyone took part in the festivities, live on Twitter and Ustream. The FLWA bills the area as North America's premier cool-climate winegrowing region. Located in the east-central part of New York, south of Lake Ontario, the Finger Lakes AVA is recognized by most who offer their opinion as the best source for Rieslings in America. The slate soil and microclimates near the three main Finger Lakes make for the good growing of Riesling grapes. During the Ustream cast, the winemakers said that young Finger Lakes Rieslings show lots of fruit, while more complex notes appear with time. They also noted that wines from cooler vintages age better than those of warm vintages. Minerals and citrus are the hallmark notes of Finger Lakes Riesling wines, which can range from very dry to very sweet. How do you know which are which? Sometimes, the label will explain the sweetness level in the wine’s name. There is some help for the consumer, though, when the wine's name does not make it apparent. The International Riesling Foundation has created a "Riesling Taste Profile," which appears on the label of all Finger Lakes Rieslings. It’s a drawing of a meter, showing the sweetness level of the wine. It is a concept which might well be adopted by makers of Syrah wines, since that grape shows quite differently in cool and warm climate designations. It’s a great way to help consumers know what to expect in the bottle. Located on Cayuga Lake, Knapp Winery is close to Seneca Falls and easily accessible from the New York State Thruway - unless Arlo Guthrie declares it "closed, man." Knapp Owner Gene Pierce also owns Glenora Wine Cellars to the west on Seneca Lake. Vineyard manager Chris King and winemaker Steve DiFrancesco share the kudos for this single-vineyard wine. The pair worked together before and after harvest on this Riesling. 182 cases were made with an alcohol content of 12.5% abv and a residual sugar mark of 0.5%. That puts it over on the "dry" side of the International Riesling Foundation's sweetness meter.. It is bottled under natural cork. With a pale yellow straw tint, this wine's nose is very fragrant. It wafted from my glass to the other side of the room. There's a lot of fruit in there, peaches and pears mostly, with a zingy citrus streak and a healthy dose of earthy minerals. The palate leans more toward apricots and lemons laced with minerals. The acidity is typically great - that's no surprise with Finger Lakes wines. Many taking part in the virtual tasting on Twitter delighted in this wine's refreshing acidity. A sense of earth carries through right to the finish, which is long and graced with a touch of custard. Lakewood Vineyards Winemaker Chris Stamp is a grandson of the estate's founders. David Stamp - another grandson - oversees the grape growing. The Lakewood 2012 Dry Riesling hits the dry range on the sweetness meter - the residual sugar is just 0.78% - and has a super-low 11.7% abv. 810 cases of this Riesling were produced and it retails for $13. My wife says the wine shows a tart green apple note with a lovely butterscotch flavor. She thinks it smells nice and creamy, but tastes more tart. I don't get the creamy aspect, but the tart apples hit me just right. A streak of lime runs through the mid-palate with hints of petrol darting in and out. The acidity is top-notch, even when chilled. On Seneca Lake, Lamoreaux Landing's Red Oak Vineyard is sustainable. It is the winery's newest vineyard - this is its fifth vintage. Winemaker Colin Grant crafts not only Riesling, but reds, dessert wines and a Blanc de Blancs sparkler as well. The Red Oak Riesling clocks in as "medium-dry" on the sweetness scale, and runs a moderate 12.5% abv. The pale wine come under a natural cork. Nice apples and pears dominate the nose with muted slate tones apparent. The palate is very mineral driven, with apple, lime and pear notes standing behind the earthiness. This Riesling has a nice acidity and tastes very clean - perfect for food pairing. Lucas Vineyards is located on the western side of Cayuga Lake. Established in 1980, it's the oldest winery on that lake. Ruth Lucas founded the place and still sits at the helm. Winemaker Jeff Houck has created a wine that hits a little more to the right on the sweetness meter, at "semi-dry." The residual sugar is 2.2% and the alcohol sits at 11.4% abv. Houck says a small amount of botrytis was present in these grapes, but it was not prevalent. It's bottled under natural cork. Very pale in the glass, this Riesling shows remarkable fruit - peach, pear and apple aromas fly out of the glass. The palate is equally fruity, with a nice layer of earth on the peaches, pears and apples. A slate note and a touch of citrus add to the wine's zing and the good acidity brings a freshness and food friendly quality. The winery recommends pairing with shellfish, white meat and vegetarian dishes. The winemaker at Glenora Wine Cellars - Steve DiFrancesco - has 34 vintages under his belt. The grapes for this wine come from three vineyards on both the east and west sides of Seneca Lake. A warm vintage produced riper grapes and higher alcohol, although it still hits only 12% abv. There was some grumbling online about the alcohol, but I didn't detect it as a problem. 2,600 cases were made - a large amount for a Finger Lakes winery - and it is medium-sweet on the IRF scale. It's bottled under a synthetic cork. A big, fruity nose displays lots of apricot and peach, and the palate has a hint of peach pie mingling with that Finger Lakes acidity. It is definitely fruit-forward, with muted minerality setting off the flavors. Fans of sweet Rieslings will love it, but there's plenty of acidity here, too. They say to pair it with vegetarian dishes, chicken or fish. It's on the sweet side, so it will be fine with spicy food, too. I ran across a cool infographic I thought I'd share with you. I think all infographics are cool, and I suppose it's that kind of acceptance that makes organizations like BedAndBreakfast.com keep making them and getting them out there. Anyway, it's a snapshot of several US wine country areas and some pertinent information about them, like how many bed and breakfast inns there are. Oh, there are some facts about the wine, too. Enjoy! A virtual wine tasting event with Whole Foods Market on Twitter in September 2013 featured a quartet of wines from South Africa. The two whites and two reds were provided by my neighborhood Whole Foods store for the purpose of the event. I don’t get to sample a lot of South African wine, so this event was a perfect learning experience for those of us who took part. I’ve long been a fan of the wine department at WFM, and it is good to know there is a grocery store willing to stock the kind of wines they do. These wines are all available at Whole Foods stores and are priced very reasonably. They also show the South African terroir very well. There is an earthiness and minerality to these wines that I find quite appealing. Plus, I got the chance to try the Pinotage grape. Antonij Rupert Winery, beneath Simonsberg Mountain in the beautiful Franschhoeck Valley, produces wine in South Aftrica's W.O. Coastal Region. The Wine of Origin system is much like the French AOC system, only less rigorously structured and regulated. This is the region where the French first made wine in South Africa, by the way, and they left a lot of their grape varieties behind. The protea is a beautiful South African flower. The winery claims its beauty inspired this wine. Protea White is 100% Chenin Blanc - sometimes called Steen, and quite widely planted in South Africa. The wine is bottled under cork and comes beautifully etched by Designer Mark Eisen. The winery suggests using the bottle after the wine has been enjoyed, as a vase or drinking glass. Protea is imported in the US by Terlato Wines. The wine retails for $15 and the alcohol hits only 13% abv. The website describes a laissez faire approach to winemaking: "To make our protea White, our winemakers step smartly aside and allow the essence of the remarkable, too often underappreciated Chenin Blanc grape to arrive in the glass with rich fruit and verve." Well, Chenin Blanc is not underappreciated around this house. The wine sits pale in the glass, with the bouquet immediately apparent. As advertised in big letters on the label, aromas of pear, citrus and honeysuckle burst from the glass. The citrus element hits me as grapefruit, while a distinctive atmosphere of earth joins the fruit. The palate displays fruit first, but the minerals stay in focus. Grapefruit and lemon-lime hit first and leave last. There's a generous acidity which has this white begging to paired with something. Oysters would be nice, if so inclined - shrimp, lobster or crab if not. Snacking? Almonds and goat cheese pair nicely. The DeMorgenzon Winery is in the W.O. Western Cape region, in the upper reaches of South Africa's Stellenboschkloof, in Stellenbosch. The first vines were planted here in the early 1700s. Views of both the Indian and Atlantic Oceans are visible from their vineyards. Visitors are treated to the sight of wildflowers throughout the estate. Not only are the vineyards something to see, there's something for the ears. They believe music is a powerful growth aid, so they pipe Baroque music among the vines around the clock. The DMZ Chardonnay grapes grow in soils blessed with granite and sandstone. One quarter of them were whole cluster pressed, while a combination of steel tanks and French oak barrels were used for fermentation and aging. It has an easy-open screw cap on top, an alcohol level of 13.5% and a price tag of $17. The wine's hue is a pale yellow, and its bouquet smells of peaches, pears, orange peel and lime. The palate shows zingy citrus aplenty. There is a wonderful acidity and a great sense of minerals. I get a whiff of oak spice, and a huge blast of terroir. The wine is clean and refreshing, with a strong mineral influence and grapefruit and minerals on the finish. Robertson Winery was founded by Dr. William Robertson in 1941. Today some 35 grape-growing families contribute fruit to the Robertson wines. Viticulturist Briaan Stipp and cellarmaster Bowen Botha head up the Robertson winemaking team. The '11 Cabernet is fermented in stainless steel, then aged in French oak for four months. This brings a very fresh style to a variety that is usually produced oak-heavy. It costs $10 at Whole Foods. This Cab sits medium-dark and ruby red in the glass, with an intriguing nose of blackberries and dirt. It hit me at first as dusty, then seemed muddy. I mean all that in the best possible way, of course. There's a hint of pencil lead, but not as much as one might expect in a Cabernet. The palate is quite dark, with enough minerality to put the fruit in the backseat. The plum and cassis notes do make their way to the forefront, though. The tannins are very firm and the acidity is lip-smacking, but this isn't a Napa Cab by a long shot. Not elegant, plenty rustic. This wine offers a grape to which we aren’t exposed very much in the US, Pinotage. It is truly a South African grape - it was bred in South Africa in the 1920s. It’s a cross between Pinot Noir and Cinsault, which was known in South Africa as Hermitage at the time. Bruce Jack, founder and winemaker at Flagstone, explains his use of the grape. "The unmistakable wild berry Pinotage aromas and juicy flavours are only a small portion of its specific character. The real secret Pinotage gives in a blend is a burst of fruit on the finish – in the same way old vine Grenache can do to Rhone blends." The Flagstone website recommends pairing this blend with North Indian curry or sushi - the more wasabi, the better. Sounds strange, I know. You can find both food items at Whole Foods to conduct your own experiment. The name of the wine comes from a Dragon Tree brought from the Canary Islands to the Port Captain of Cape Town a century ago. This was before a breakwater was constructed to protect vessels from suffering damage due to severe nor'westers, and it was known among world travelers that bringing an exotic plant to the Port Captain would insure a good berth in the harbor. All this information comes from the fascinating and well-written Flagstone website, which you should plan to spend some time investigating. This wine clocks in at 14% abv and sells for $17. The vineyard sites selected for Dragon Tree are made up of stony, rocky soil, and the minerals show well. It's the fruit that steals the show, though. It is inky purple and has a powerful bouquet of dusty blackberry and currant. On the palate, dark fruit is in the forward position. Minerality, good acidity and firm tannins are a great buildup to the chalky finish. French winemaker Jean-Luc Colombo was in Los Angeles recently for a series of tastings and dinners to promote his wines. The walk-around tasting at Monsieur Marcel in Beverly Hills was staged by Ian Blackburn's Learn About Wine education group. Blackburn greeted me with the news that Colombo was in rare form. “He won’t stop talking about non-irrigated farming. He says irrigation destroys terroir.” Well, he’s had a lifetime to think about it. Colombo became interested in wine at an early age. Back in Marseilles, he started a quest to make wine which was as good as his mother’s cooking. Colombo is a devotee of the Syrah grape, so he was quite naturally drawn to the northern Rhone Valley. The first vineyards he bought for himself were on a granite hillside overlooking the tiny village of Cornas. They call it the birthplace of Syrah - in fact, Syrah is the only grape planted there. That’s alright with Colombo. The winemaker shook things up a bit in Cornas with his fruit-forward tendencies, which flew in the face of traditional ways. Colombo thought wine shouldn’t be locked away for years in a barrel before being released and enjoyed. He is described on the winery website as having deep “respect for the unique qualities of each and every terroir, and uncompromising support of a sensible alliance between traditional approaches to vineyard management and a modern understanding of the life cycle of the vine.” He also departs from tradition by labeling his wines varietally - Syrah, Viognier, etc. This white from the Côtes du Rhône is 80% Clairette and 20% Roussanne. Stainless steel fermentation, then aged on the lees - 15% in barrels and 85% in tanks. Apple, floral, mineral. Very fresh. Another Côtes du Rhône blanc, the grapes are 70% Viognier and 30% Roussanne. Fermented in steel tanks, 20% is aged on the lees in barrels with the remainder in steel. Minerals, oak, floral, honey. This is 100% Viognier from the Languedoc region in southern France. Fermentation takes place in steel tanks (80%) and barrels (20%). The wine ages for six months - on the lees, of course - with only 70% in tanks and the rest in barrels. Minerals, peaches, almonds. This pink wine is made from 67% Syrah and 33% Mourvèdre grapes from Provence. The traditional saignée method of extraction - bleeding the juice from the grape skins - is followed by two or three weeks fermentation in steel tanks. Minerals and strawberry, nice savory notes. This single-vineyard wine is made from 70-year-old vines growing in granite soils. It is fermented in stainless steel tanks with skin contact of one month, then aged 22 months in oak - 15% of which is new. Extremely floral blueberry nose, mineral-driven blueberry palate. Oak spice stays around on the finish. These grapes are from 90-year-old vines in a single vineyard on ancient Roman terraces. Stainless steel fermentation precedes aging of 22 months in oak, a third of it new. Minerals, delightful dark fruit, oak spice. Fermented in steel, with 21 months in oak - 15% new, 85% neutral. Burnt caramel nose, blueberry with a caramel edge on the palate. Extremely rich and completely delightful. 45% Syrah, 35% Grenache and 20% Mourvèdre, the grapes are grown in the CDP's galet soil. Stainless steel fermentation, then 18 months in neutral oak. Minerals, berries, spice. Lovely, perfect use of oak..
100% Syrah from Languedoc. Fermentation in tanks is backed up with a year of aging, ten percent in oak and the remainder in steel and concrete tanks. Floral nose, mineral palate. Black and blue berries, herbs on finish. It’s always interesting to hear which wineries people hold dear. For folks not in the wine business, that choice often centers on a winery they visited once. Maybe they joined the club and get quarterly reminders of their trip to wine country. I know a fellow who talks about a particular Napa Valley winery every time I see him. It was at least a decade since his visit, but it impressed him so much that he still relives that vacation. Castello di Amorosa is one of those places people will talk about for years after their visit. Dario Sattui opened Calistoga’s Castello di Amorosa winery in 2007. The structure - built in the style of a Tuscan castle - is mightily impressive and unforgettable. It employs brick, wood and iron imported from Italy, along with over 8,000 tons of local stone. This wine castle was a dream for years before it actually took shape. Today, winemakers Brooks Painter and Peter Velleno work in the cellar there with consulting winemaker Sebastiano Rosa. There is no distribution for their wines. If you want them, order from the winery or go pay them a visit that you'll remember forever. Their red wines were the subject of an earlier article on this site. The winery was kind enough to send samples of a few of their white wines for me to try. This wine comes from an Anderson Valley vineyard where they have sourced Gewürztraminer for years. They made 2,392 cases at 14.5% abv - rather high for this variety. Stainless steel fermentation means you can expect a clean and refreshing wine. The retail price is $25. Pale straw in color, the bouquet comes on strong with beautiful honeysuckle, pineapple, apple and pear notes. The palate is fruity and fresh. Apple and pear flavors are joined by minerality, a spicy note and great acidity. This wine will be just fine with shrimp or crabs. The grapes come from a vineyard at the south end of the Napa Valley. 1,424 cases were made, and the wine retails for $28. It hits 14.4% abv on the alcohol meter, is 100% barrel fermented and aged sur lie for ten months in 50% new French oak. Sur lie means the wine is aged with the spent yeast cells - lees - still in it. It is stirred to re-suspend the yeast. A beautiful golden color, the wine's nose is bursting with ripe tropical fruit and funky, buttery oak. The palate is big, too, with similar fruit and oak spice. Flavors of citrus and pears find comfort in the silky, buttery oak for what we could call a classic California Chardonnay. The acidity offers a zing to complement the full mouthfeel. Feel free to pair it with shellfish and salads. From one of my favorite vineyards, this Santa Maria Valley wine was produced in a quantity of 1,344 cases. This reserve Chardonnay sells for $38, and the alcohol is not shy - 14.8% abv. Aged for ten months in French oak, on the lees, only 20% of the grapes went through malolactic fermentation in the barrel. This means you can expect the wine be a little more steely than creamy. This wine also has a lovely golden hue, and a nose which carries every bit of that ten months of oak. Get past the oak spice, and you find lovely tropical and citrus accents. The same can be said for the palate, which is abetted by a riveting acidity. It's not exactly the steely wine a minimized malolactic might indicate, but it definitely has a lot of focus apart from the oak influence. This one will be a hit with any type of seafood or poultry. While waiting for a movie at one of our favorite theaters - with a bar attached - Denise developed a hankering for a beer. It's funny, because she seems much more like a cocktail girl than a beer fan. She ordered a dark beer, then changed her mind. I made a bee line for the waiter, catching him just before the previous order had been drawn from the tap. The Hangar 24 Orange Wheat Beer from Redlands, CA, seemed like an odd choice for my wife, but we both enjoyed sharing the large bottle, $6 at the bar. Our airborne reporter friend often speaks of the Inland Empire brew, which is brewed across the street from Redlands Municipal Airport, where his aircraft often stops for refueling. This beer has an alcohol content of only 4.6% abv. The label states that it is "crisp, tangy and refreshing," and that's right on the money. It's an unfiltered wheat beer, which is brewed with locally-grown oranges. Usually I experience the orange as a slice placed in the wheat beer. The oranges come through brilliantly in the flavor. Like other wheat beers, it appears cloudy in the glass. The Hangar 24 website states, "Our oranges are purchased through the Old Grove Orange company (affiliate of the non-profit Inland Orange Conservancy) whose main objectives are to save the local orange trees from disappearing, spread the word about the local citrus growing heritage, and to feed the hungry with the unutilized oranges. Please visit them at www.inlandorange.org. All we need to do to save the orange trees is to eat or drink locally grown oranges!" Redlands is in Southern California's Inland Empire, which was once a major source for citrus fruit. They advise pairing this beer with fish, salads, mozzarella cheese and less-spicy Mexican or Thai food. It went great with the popcorn during the movie. They say the best way to make a small fortune in the wine business is to start with a large fortune. To that end, you may want to emulate Rich Frank, the owner of Frank Family Vineyards. Like a number of California vintners, Frank left a career in which he literally waded through money to go into a career in which he wades through grapes. He was Chairman of Walt Disney Television and headed Disney’s syndication arm, Buena Vista. Then he became the President of Walt Disney Studios, a chair he occupied for nearly a decade. He oversaw the development of The Disney Channel. All that after serving as chief at the Paramount Television Group and Chris Craft Television. He also helped found USA Network in his spare time. Enough with the resume, though. Let's talk about wine. This $50 could be hard to come by - it's sold only through the winery and at select restaurants and retailers. The blend of 87% Cabernet Sauvignon, 9% Merlot, 3% Petit Verdot and 1% Cabernet Franc aged for 20 months in French oak, 30% of which was new. Alcohol content measures 14.5% abv. A sample was provided to me by Jarvis Communications. This Cab is deep ruby red with a nose of blackberry, cassis and vanilla spice. The bold palate is full of the same, with the added attraction of some pencil point and and a plum note that powers right through the finish. Freshly poured, the tannins are out to get your attention. They will serve well with heavy beef dishes. Allow a bit of time for the air to do its work, and the tannins smooth out considerably. The local wine concept is alive and well at Whole Foods Markets in Southern California. The One Wine label - available at Southern California Whole Foods stores - is a unique collaboration between Whole Foods Market and local winemakers. It started with WFM’s commitment to providing their customers with products that celebrate the places and stories from which they are created. The One Wine label started in 2011 as a partnership with two wineries in Santa Barbara County, and has since blossomed into a mutually beneficial, creative and delectable partnership between Whole Foods Market and over ten of Southern California’s best winemakers. All of the One Wine releases are small lot wines, typifying the movement of boutique wineries in Santa Barbara County. They are all in limited supply, and only available in Southern California Whole Foods Market stores. They have a habit of disappearing from the shelves quickly, so don't delay in picking up the ones that interest you. I had the extraordinary opportunity to visit the Whole Foods Market in Venice, CA as they celebrated the five-year anniversary of that store. The new One Wine releases were poured, with winemakers and representatives of the wineries that made them present to chat about the wines. It was a three-hour drive down to L.A. for them, so their presence was much appreciated. In case you are unfamiliar with the One Wine line, participating wineries include Ampelos Cellars, Au Bon Climat Winery, Cimarone Wines, Clendenen Family Winery, Fallbrook Winery, Happy Canyon Vineyards, Hearst Ranch Winery, Hitching Post Winery, Ken Brown Wines, Margerum Wineries, Sextant Wines, South Coast Winery and Stolpman Vineyard. With names like those, you can expect high quality - and they are priced nicely, between $15 and $20 per bottle. You can get a taste of One Wine by viewing this mini-documentary. The wine is fermented and aged in neutral oak barrels and comes to an easy-drinking 13.8% abv. The smoky, raspberry/floral nose and slightly tart palate immediately makes me think of a really bold Pinot Noir. When Hartley told me how the One Wine experience has spurred sales of other Hitching Post wines, WFM’s Roger Fawcett jumped in. "The One Wine project is a great way to showcase the region's winemakers, and the extra visibility helps move other wines in the wineries' own lines." Hartley responded with an overly sincere, "You're in good hands with Whole Foods Market,” then the kicker: “Oh, that's an Allstate commercial! Seriously, the friendships we've built with Whole Foods are close." The pink side of Valdiguié is about as pink as it gets. It’s deeply tinted - like the salmon Hartley caught in his earlier career as a fisherman. The mix this time is 48% Valdiguié , 47% Grenache and 5% Pinot Noir. Hartley says there’s isn’t a lot of Valdiguié available in California. “I dare you to try and find some! Ours comes from French Camp Vineyard in Paso Robles.” It has a very modest 13.1% abv number and is released to Whole Foods for One Wine before they do their own Hitching Post version. Showing the mark of a good rosé, the wine has great acidity. Again, the presence of the Valdiguié comes through in the flavors that are as dark as the color. Again, Hartley lifts his imaginary baton in explaining how the grape inspires the other fruit. “All the grapes are co-fermented, half in steel and half in neutral oak. The fermentation of Valdiguié is quite something to see. It really roils in the barrel. Puts on a show." Doug Margerum was one of the original winemakers involved in the One Wine series, back when it was called A Collaboration. He showed up on his birthday with no candles awaiting him, but he lit up like one when he started talking about his wines. The One Wine Happy Canyon Merlot blends 75% Merlot, 20% Cabernet Sauvignon, 2% Malbec, 2% Cabernet Franc and 1% Petit Verdot. Margerum says he used Bordelaise punchdowns to keep the grape skins in contact with the juice and sent the wine into small oak barriques for eleven months. The Merlot was fermented in steel. The wine offers a dusty, floral nose and is fresh in a way that is Margerum’s calling card. Bright cherry flavor and great acidity are your reward for working the corkscrew. This wine - as with all the One Wine selections - was subject to a blending panel. Margerum admits that he cheated the process a bit to get the blend he wanted, but all’s well that ends this well. Margerum’s white wine entry to the One Wine line is an inventive blend of Sauvignon Blanc, Chenin Blanc and Riesling. "I wouldn't do it, but they can," Margerum says, with a nod toward the WFM crew. "For them, all bets are off the table." He likes more traditional blends, so something this riotous would not appear in his portfolio. "I'd be more inclined to mix Sauvignon Blanc and Semillon." The wine is very mineral driven, with pears and apples aplenty, but the minerals are really the story. It's a delicious and interesting wine. Quite refreshing, too. Representing Clendenen Family Winery was Marissa Beverly. She tasted me through the One Wine Italian Red Blend, made of 60% Nebbiolo and 40% Barbera grapes at only 13.5% abv. The grapes come from Bien Nacido Vineyard, a very special plot of Santa Maria Valley land, in blocks planted especially for winemaker Jim Clendenen. It's a non-vintage mix of mainly '05 and '06 wine. The nose shows cherries and dark berries and hits the palate with great acidity and tart raspberry flavors. Clendenen's Pinot Gris is a 100% varietal wine made from grapes grown in the Sierra Madre Vineyard in the Santa Maria Valley. The alcohol is quite restrained - just 12.3% abv - and the wine sees full malolactic fermentation, which converts the malic acid into lactic acid and gives a fuller mouthfeel. Whole cluster pressed, the wine is fermented and aged six months in neutral oak. The bouquet is full of fruit with a great mineral profile. Soft, smoky fruit decorates the palate and there is just a touch of creamy oak on the finish. Pair it with salmon, lobster or crabs and you'll be happy.